Over $10,000 dollars has been raised by firefighters in Battlefield for the family of fallen Deputy Aaron Roberts. 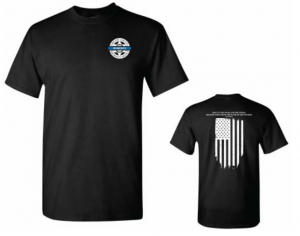 To honor Aaron Roberts, firefighters of the Battlefield Fire Protection District organized a memorial t‐shirt fundraiser to help support the Roberts family. On Friday, September 7, 2018, Deputy Aaron Roberts responded to an abandoned 911 call during severe weather and flash flooding. After clearing the call, Deputy Roberts returned to service and radioed that he and his car had been swept off the road. Shortly after, several agencies began to assist in rescue efforts to locate Deputy Roberts. He was soon found in his patrol car. To honor and remember the fallen Deputy Aaron Roberts, the memorial shirt commemorated Deputy Roberts for giving his life in the line of duty. 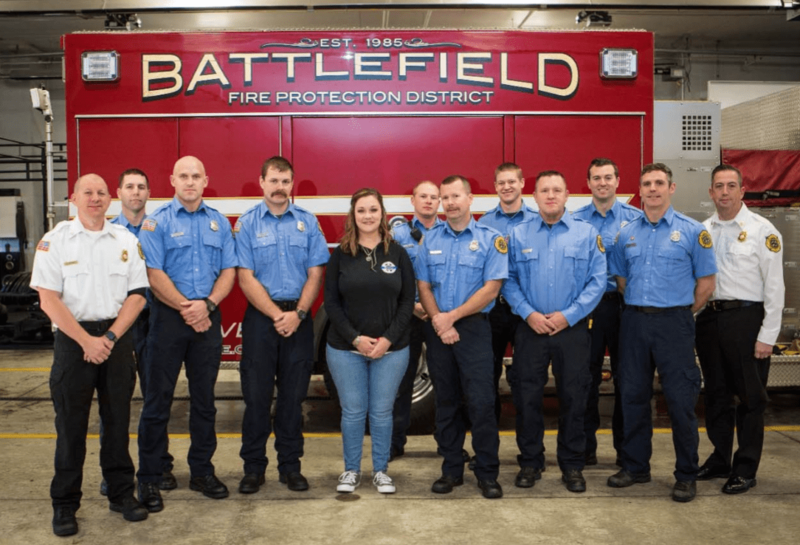 On Wednesday, December 5, 2018, Battlefield Firefighters were honored to present a check totaling $10,076.70 to Kim Roberts. The support for this fundraiser, and the Roberts family, was overwhelming with orders from all over the country.